Ok so probably the easiest way to explain how our high altitude balloon works would be to start from the very beginning and to take you through the entire thinking process we had to go through before we successfully came up with our finished design. The project required quite a bit of innovative brainstorming to help overcome some of the issues associated with high altitude flight but as you read down the various steps the problems and solutions will be explained. For more information on any of the payload components please click on the ‘Payload’ tab located on the menu bar. The obvious first step is to simply begin with the balloon itself. The weather balloon we decided to use is a Kaymont KCI-1000. It can carry a payload of about 1kg once it’s filled with Helium gas. Once it’s reached around 100,000ft in altitude the balloon will have expanded so much due to the very small atmospheric pressure that the balloon will actually burst and allow the payload to fall back to earth. 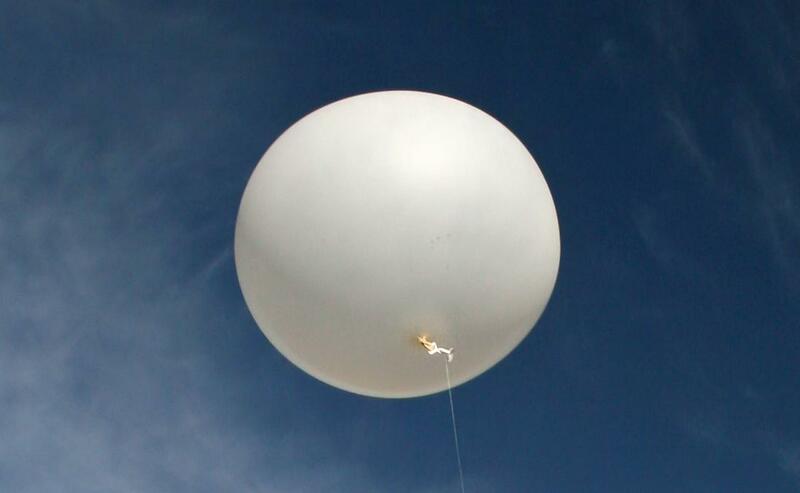 Once the weather balloon does go pop at 100,000ft it’s a good idea to have some sort of plan set in place to prevent the payload from arriving back to earth at a lethally high speed! Also, unless the payload just happens to land on a thick layer of bubble wrap chances are that it will land on something a little bit harder and will probably smash all your hard work into a million depressing little pieces. 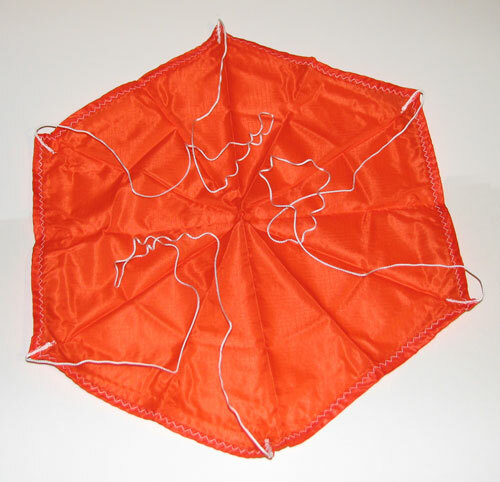 So in order to prevent this rather grim outcome we decided to attach our payload to a 30″ Light Weight Nylon Parachute. This should hopefully carry the payload at a steady and safe speed back to earth so that the payload can be retrieved. So now that we’d got the transport of the payload organised and out of the way, we needed to now focus our attention on what the payload was actually going to contain. How were we going to track the balloon? How were the photos going to be taken? How were we going to control all the electronic processes in the payload..? These were just a few of the questions that needed serious thought and contemplation. We decided to look first at what is probably the most important part of the payload; the camera. The whole point of project cirrus is to get some stunning high altitude photographs looking back on the beautiful horizon of the earth. The camera we decided to use in our payload is a Kodak C613 courtesy of a friend who broke it’s screen and donated it to scientific research. We decided that for our first balloon flight that there was no point investing in anything more expensive, in case something should go wrong and we weren’t able to retrieve the payload after the flight. However the Kodak C613 has 6 Mega Pixels, 80 – 1250 ISO and a good shutter speed so it still takes some pretty neat photos. To reduce the weight of the camera we stripped a lot of the unnecessary casing and components from it. Now that we’d sorted out the camera, as well as it’s transportation to the edge of space, we needed to come up with a reliable way that we could track and retrieve the payload once it had made its descent. To do this we decided to use a GPS module connected to a smartphone which could then text message the exact coordinates of the payload. This would allow us to track the payload as it made the first part of it’s ascent as well as the last part of it’s descent. The reason why we can’t receive text messages throughout the flight is because at some stage the smartphone will drift out of reach to the mobile phone masts due to their very horizontal reception pattern. However, the Garmin GPS-35 LVS GPS module that we’re using is capable of providing GPS coordinates for the entire flight so in order to utilise this we also decided to incorporate a 433mhz radio transmitter which could send this information from much greater altitude. This also meant that we needed to organise some sort of ground tracking device on the ground to reveive the 433mhz signals. To do this a 10 element Yagi antenna connected to an amateur radio [kindly on loan from CUSF] and a laptop were employed. Just in case the GPS module or any of the other tracking components go to pot, we decided to also include in the payload a back up strobe and alarm module. So basically if all else fails, at least we can still tune in our ears and focus our eyes to look for the package the good old fashioned way. This module will also be of additional use if the payload lands when it’s getting dark or if for example it happens to land in thick undergrowth. The strobe and alarm are connected to a light sensing unit so that they only operate when it is dark. In order to activate the camera shutter while the payload is at 100,000ft we needed to develop a electronic circuit that would automatically do all the photo taking for us. Also we needed to think of a way to collect the GPS information and send it back to earth via the 433mhz radio transmitter. So in order to control these processes we devised a mini flight computer that would run on board the payload. 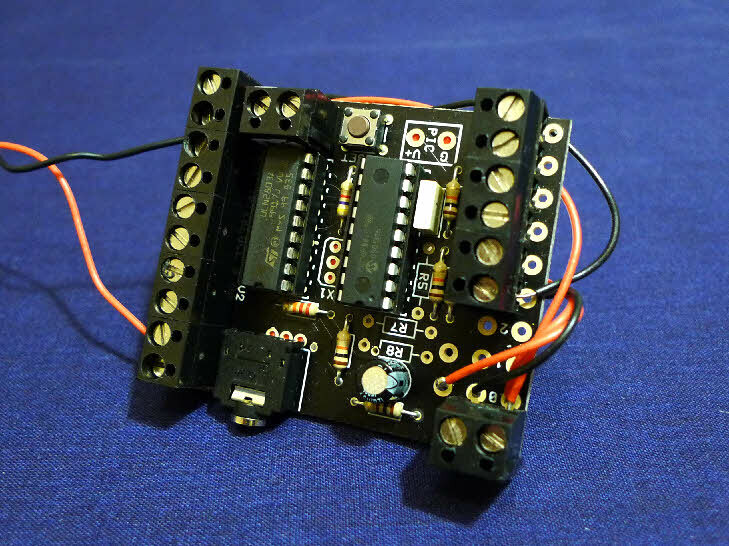 The flight computer was simply made up from a generic PICAXE 18X microchip circuit which is easy to program using a computer and simple software. Now that we had all the main payload components sorted out, we needed to decide what kind of casing we were going to keep them in. It had to be from a lightweight material and also a good insulator. The reason why we needed it to be a good insulator is because whenever the payload is at about 100,000ft the temperature is rather cold! At times it can be as low as -60°C! So basically what the insulated casing keeps the electronic components ‘warm’ by insulating them by trapping their own waste heat, and it also prevents some of the harshest effects of the cold from reaching the payload. It’s very important to keep the batteries warm because the severe cold directly affects the performance of the batteries. Therefore the payload casing was made out of Expanded Polystyrene (EPS) and an outer layer of General Purpose Polystyrene (GPPS) to keep it all intact and to give the parachute something strong to be attached to. The final instalment to the payload was a safety feature. Due to planes flying within close-ish proximity, and due to the fact that the wind direction could change, we needed to add a radar reflector so that any nearby pilots could pick up the position of the balloon and prevent a collision with it. It is manufactured out of aluminised Mylar and carbon fibre. Hi. I was just wondering how you would be able to keep the electrical equipment warm at temperatures so low? In my county, I also use Expanded Polystyrene for the building. That is cool. A small hole the same size as the lens straight to the outside. We were worried that a lens filter or glass window might fog up. A camera shaped pocket carved into the polystyrene foam on the inside ensured that the camera remained aligned and provided good insulation around the sides. Provide lots of power to the camera.. it will need a much larger power capacity than it would use on the ground at average temperatures. Hello. Just curious on how you tracked the altitude? Did the GPS track it? GPS was used for our module. You have to be careful when selecting which GPS chip to use however due to something called CoCom limits (http://en.wikipedia.org/wiki/CoCom). These were enforced to make sure off the shelf GPS units couldn’t be used for making ICBMs. Manufacturers are supposed to disable the chip if it both above 60,000 feet AND going faster than around 1200 Mph. Balloons don’t travel that fast and if the manufacturer enforces the limit correctly it isn’t a problem. However the trouble is that many manufacturers find it easier to simply enforce a 60,000 foot altitude limit. Check out this list for a selection of GPS units which will work at high altitude.